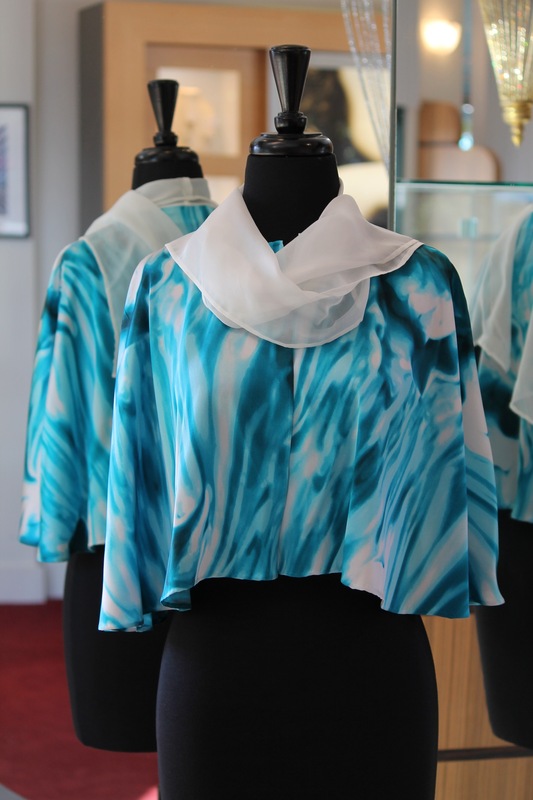 Made from the finest Italian silk with a’tie-dyed’ pattern, the shades of blues and white blend like flowing water. The caplet is a mini cape—a style that is chic and sophisticated, ends just above the elbows. The fabric is soft and slinky and worn like a wrap, the french seams keep the cape from sliding off the shoulders. 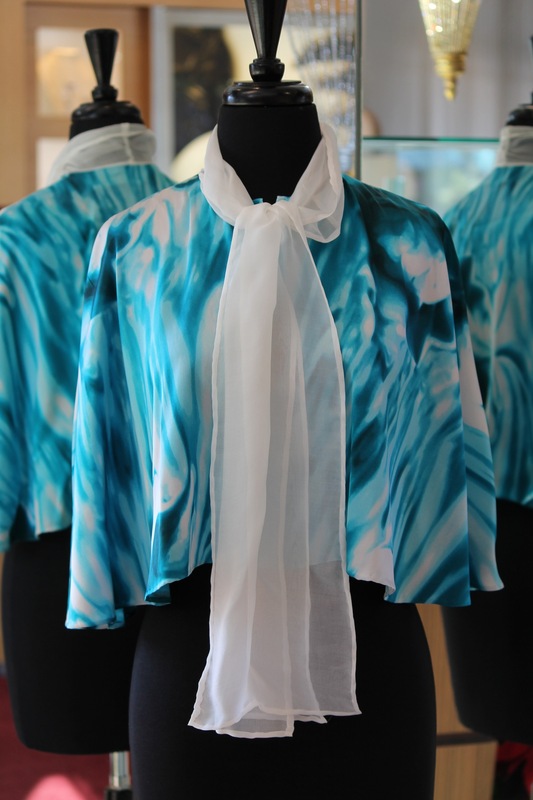 The attached silk sheer chiffon scarf can be tied in front, drape down the front or tossed over the shoulder.